Wow! What’s even more amazing, two cards in two days! Another of the Helping Hudson challenges, but this time a colour challenge. I had to use the colours of Rose Red, Pretty in Pink and Not Quite Navy, which is a gorgeous combination. 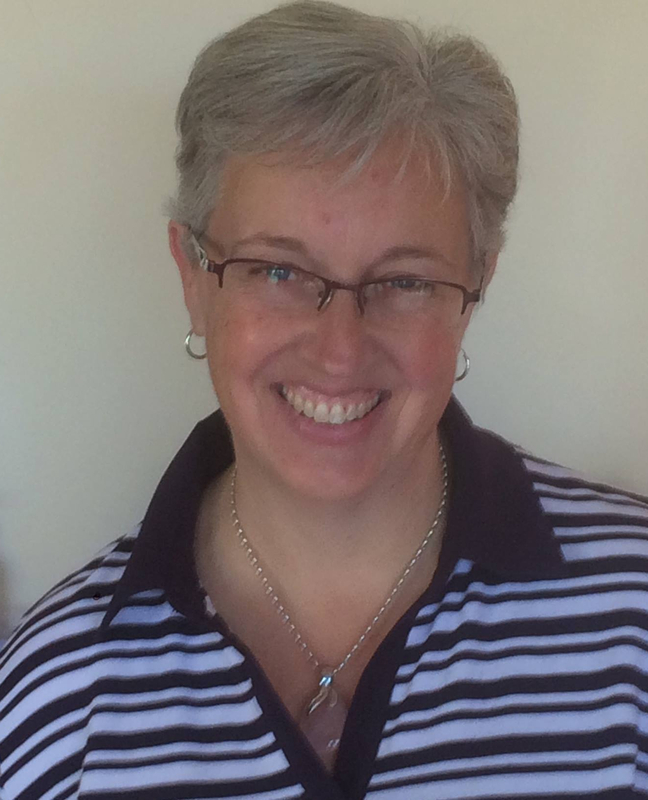 And if you pop on over to the Helping Hudson blog site: www.helpinghudson.blogspot.com you will see lots of inspirational ideas using these colours. 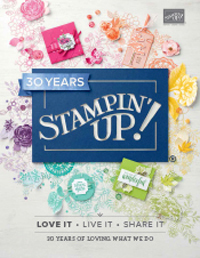 I have used an entire sheet of Stampin’ Up! watercolour paper. If you haven’t tried it, then I recommend that you do, it is absolutely the best watercolour paper out there. I have tried quite a lot of others! So, I used Not Quite Navy ink with an Aquabrush for most of the background, then just used a tiny bit of Rose Red ink for some contrast at the bottom. 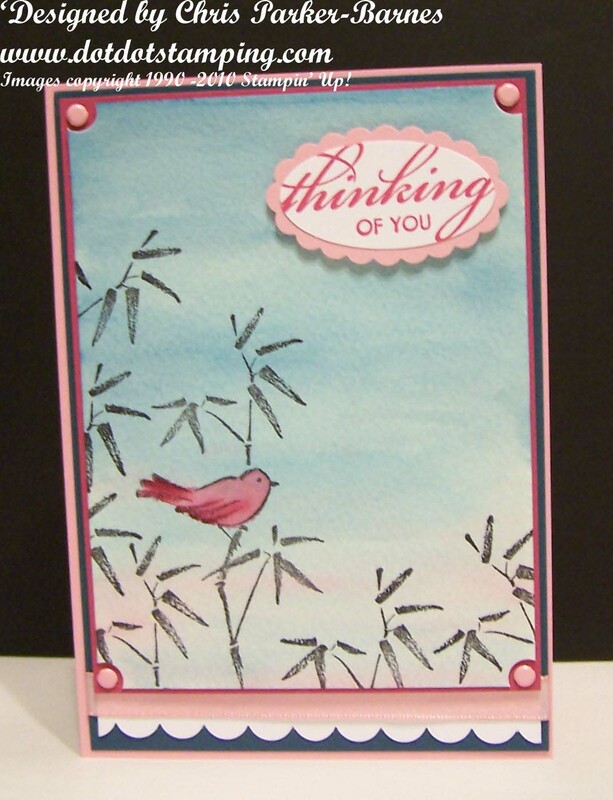 Then I stamped the image from the beautiful Asian Artistry stamp set, (currently a hostess set, but not for much longer), in black Stazon ink, and coloured the bird in Pretty in Pink and Rose Red with Markers. And the greeting is from Three Thoughts stamp set. 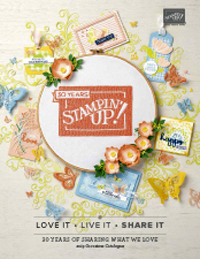 Enjoy the rest of your weekend, and happy stamping! Ooh, you are very patient to colour a whole sheet of water colour paper – but the end result was worth it. What a lovely card. Thanks for supporting the Helping Hudson fundraiser.